Well yesterday was officially a busy, exciting day in the video game world! Lots of exciting new projects were announced in the Nintendo Direct. But now that the dust has settled, I thought I might share another exciting new game with you. I’m taking some time out of my busy day to promote a little known Kickstarter named Orion’s Odyssey. Quite simply, I decided to promote this game because, in my humble opinion, it looks just as exciting, retro and memorable as many of the games announced yesterday in the Nintendo Direct. That’s right. 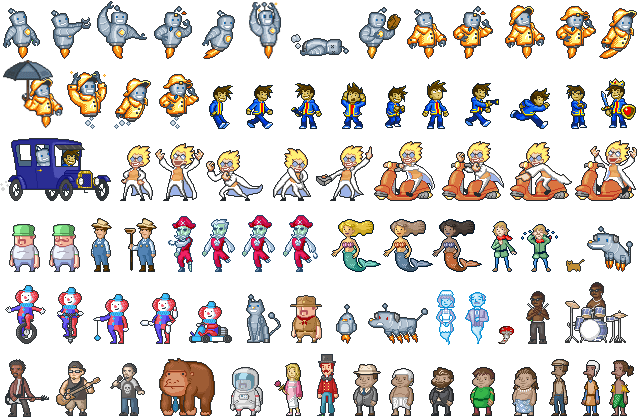 I’m comparing this to the likes of Mario and Luigi: Dream Team and A Link to the Past 2. Keep reading and decide whether or not you agree. Our goal is to deliver a variety of gaming experiences across multiple genres and platforms with a focus on quality, presentation and of course, fun. 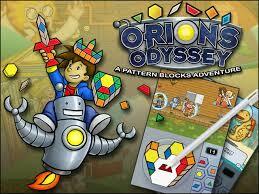 That being said, the Orion’s Odyssey team’s goal from the beginning has been to create a puzzle game that didn’t just have the wide appeal and accessibility expected by the Nintendo DS’ main audience, but also delivered an experience that would engage, satisfy and charm the pants off the core gaming audience as well. Sounds good. Regarding the game itself, Orion’s Odyssey is absolutely charming looking, with beautiful hand animated sprites bursting with color. It serves as a spiritual successor to their original game, Hands On! Tangrams. With Odyssey, they set out to improve upon all the aspects of that game over the past two years. Primarily, they focused on tighter controls and better presentation. Originally, Island Officials intended for Odyssey to be available for the DS, but was unable to find a publisher willing to promote a DS title when they were all focusing more on 3DS, mobile phone games, and tablets. While this was unfortunate timing for them, it could provide to be fortuitous timing for fans. Now we have the opportunity to back this game and get a physical copy of it for merely $25. Comparing this to my most recent Kickstarter pledge for Shovel Knight – which gave me a digital copy of the game $15 – this seems like a very fair price. The antagonist is the titular Orion, a alien robot who can construct any object he can think of to solve puzzles. He is accompanied by sidekick Ryan, a sugar-high 7 year old with a thirst for adventure, on a quest through 10 distinct levels. I can’t help but get nostalgic about that, as it sounds familiar to the awesome Calvin and Hobbes comic for some reason. If the game sounds short, you’ll be relieved to hear that the game features multiple game modes to play through, including the standard Adventure, Freeplay, Challenge and Sandbox, wherein you can make and try your own puzzles! Regarding the funding thus far, currently Orion’s Odyssey has reached $6,279 out of their goal of $85,412 with a total of 152 backers. Though they still have 30 days to go, they still need many more backers to make this game a reality. However, if they do receive all the funding they need, they now have a publisher in place to distribute the game. With that in mind, I am going to close by covering some of their stretch goals. By pledging at least $10, backers will receive the digital soundtrack and wallpaper; $25 will net you a physical copy of the game 1 month early; $30 will also net you a physical copy, as well as the digital soundtrack; $40 will net you the physical copy of the game AND soundtrack; $55 earns you all of the previous plus limited art prints; $75 gets all of the previous PLUS a signed art print and bonus digital tracks; $85 gets all that plus an extra physical copy of the game and soundtrack; $100 gets all that plus an additional signed art print; $350 gets all of the previous goodies plus a deluxe collecter’s case, a mini Orion statue and an in game credit; $1000 gets all that plus 6 additional copies of the game and a personalized drawing of yourself; $2500 gets all that plus a in-game caricature credit, IO flash drive with game assets AND lunch / dinner with Island Officials; and finally, $10,000 gets all that plus an executive producer credit and a industry event! Whew. That’s a lot of fan service! To find out more, check out the game’s Kickstarter. If nothing else, you should check it out to listen to some of their awesome music, composed by Wayne Strange, who has composed music for such events as Symphony of the Goddesses worldwide concert tour!